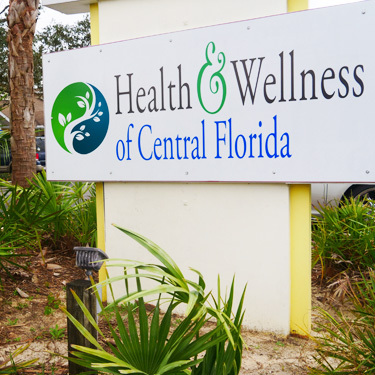 Since 2006, Health and Wellness of Central Florida has been helping Spring Hill residents achieve health and wellness through a holistic approach to care. Over one decade later, Dr. Bob and his compassionate team continue to deliver quality care that promotes natural healing. Health and Wellness of Central Florida was founded upon strong belief in holistic health. Benefiting from chiropractic care and functional wellness himself, Dr. Bob became an advocate for allowing the body to go through the process of healing in a natural state, without the interference of drugs or additional chemicals. Not only did his personal experiences motivate him to open his own practice, but his time working in the hospital while in the military also drove him to get involved in health and wellness. Neglecting to see real improvements in health through symptomatic treatment, Dr. Bob knew he had to be a part of the change. To this day, Dr. Bob remains concerned about the body as a whole and treats each patient accordingly. From young to old and non-athletic to consistent athlete, Health and Wellness of Central Florida serves them all. Health can be addressed at all ages, and there is no better time to maintain your health as well as the health of your family. Dr. Bob and his staff have cared for all ages and walks of life, successfully assisting through natural, individualized means. It is never too early or too late to begin your journey to the best version of yourself. As the saying goes, the best time to plant a tree is 20 years ago, the second best time is right now. Let us help you take your first steps! We are here to guide you along the way—schedule your visit.